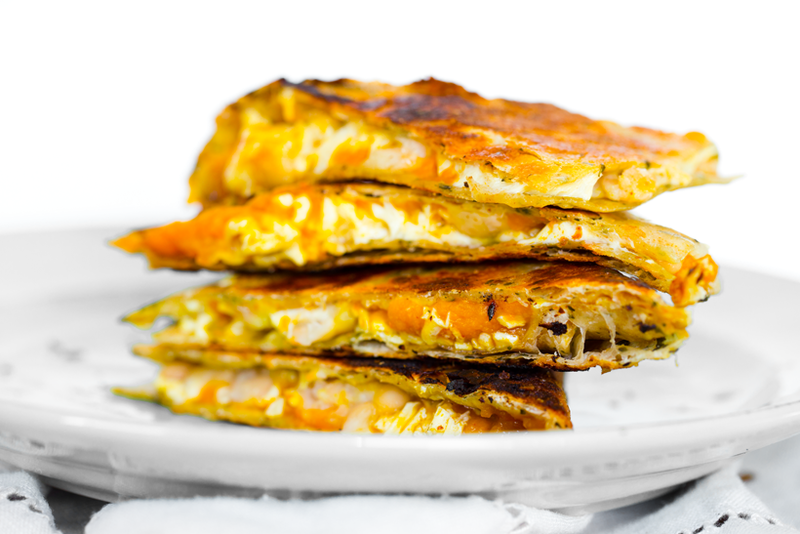 I made this Maple-Pumpkin White Bean Quesadilla for lunch a few weeks ago with some leftover pumpkin I had in the fridge and I still cannot stop thinking about it! 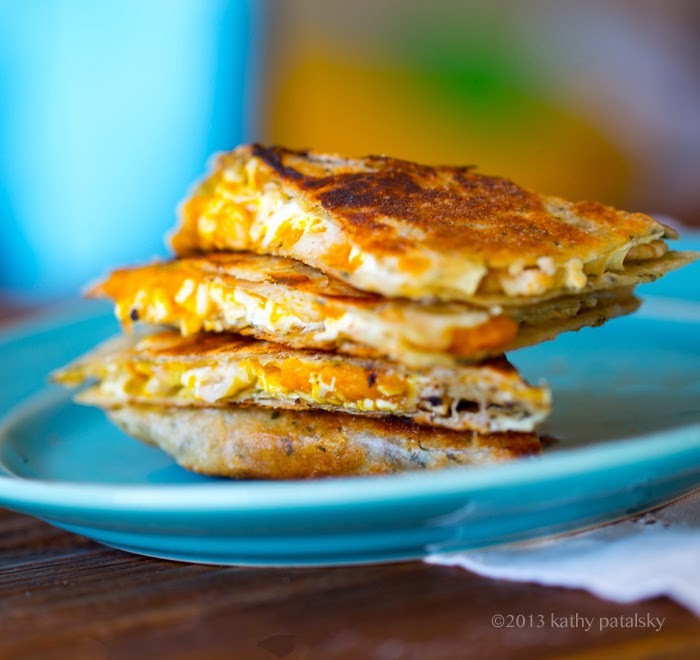 These flavors may not seem obvious to traditional savory quesadilla lovers .. I mean, smashed beans, pumpkin and maple? But yes! 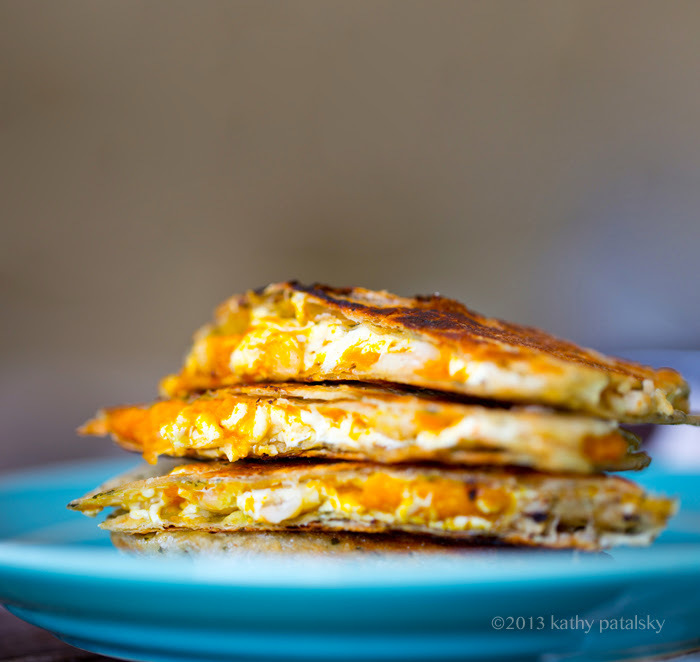 The savory sweet appeal of this quesadilla is so memorable, cravable and super delicious. 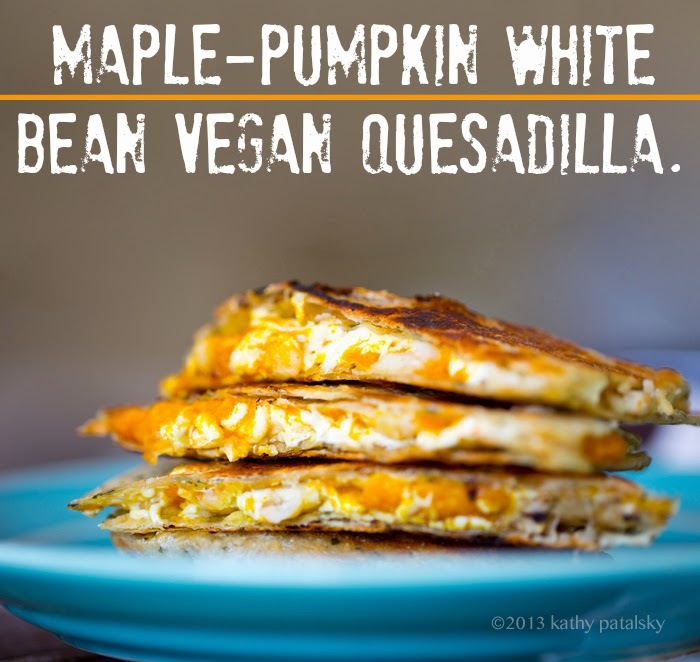 Melty vegan cheese mingles with the creamy pumpkin and sweet maple syrup. A few smashed white beans add texture and savory appeal. A few spices add even more flavor, try cayenne for heat or cinnamon for warmth. 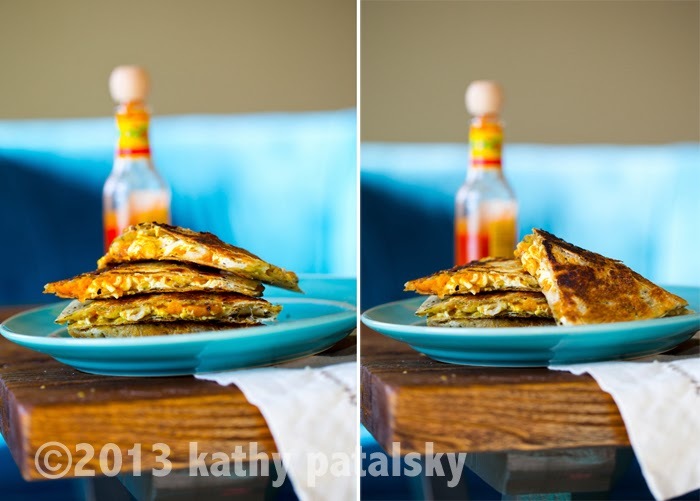 Make these toasty triangles just once and I am sure you will be dreaming of them again too! Be sure to follow Vince on YouTube, just follow the YouTube link on the video or check out his channel here! Vince posts really awesome videos featuring vegan food and more. I really love his Disneyland video. Maybe I can get him to do another one and invite me along. Disneyland fun for work? Yes please! - Cheese. I really love using a vegan white cheese for this recipe. Cheddar would work, but a white cheese like gouda or even pepper jack workd so well. I love Follow Your Heart, Parmela, Daiya and more. 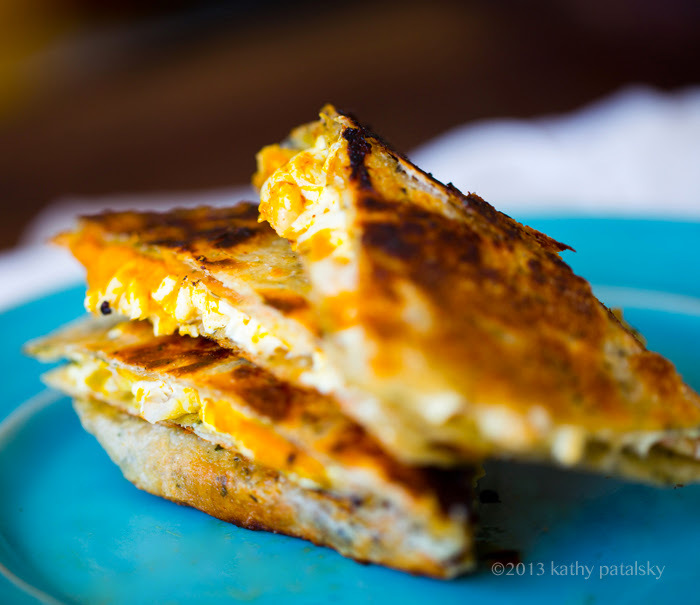 Check out my vegan cheese guide for more ideas for great vegan cheeses. You could even use the Kite Hill vegan cream cheese for a creamy spin. - White Beans. Easy just grab a box or can of any white bean. Navy, cannellini or even chickpeas if you don't mind mashing a bit more firmly. The other option is to use a hummus in place of beans! I tried this and actually really loved it. No mashing needed and you get extra intense flavor. - Tortillas. 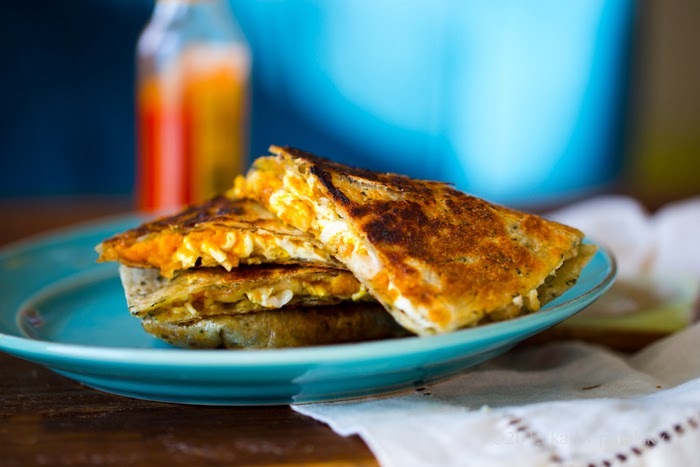 I love a medium sized tortilla folded over for this recipe. Though two small tortillas or even one large wrap works too. I love Teff tortillas. Also corn or even basic flour. - Pumpkin Butter. 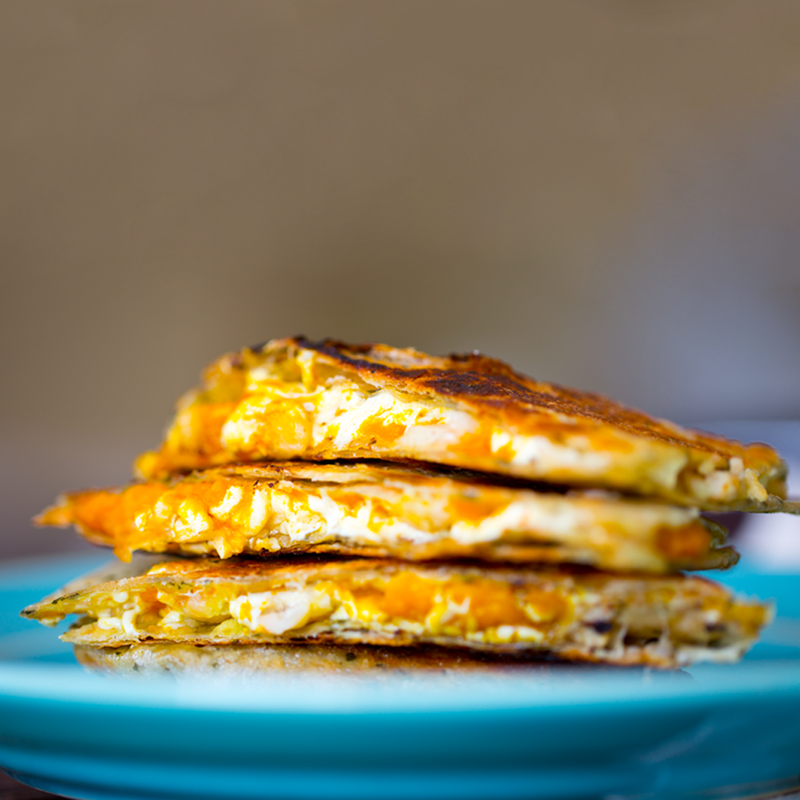 My original recipe used straight up pumpkin puree and drizzled over top maple and spice. This time, I actually made a pumpkin butter to slather on and also save some for later for toast and more. Both ways work though. And if you want extra sweetness, you can always drizzle on more maple! 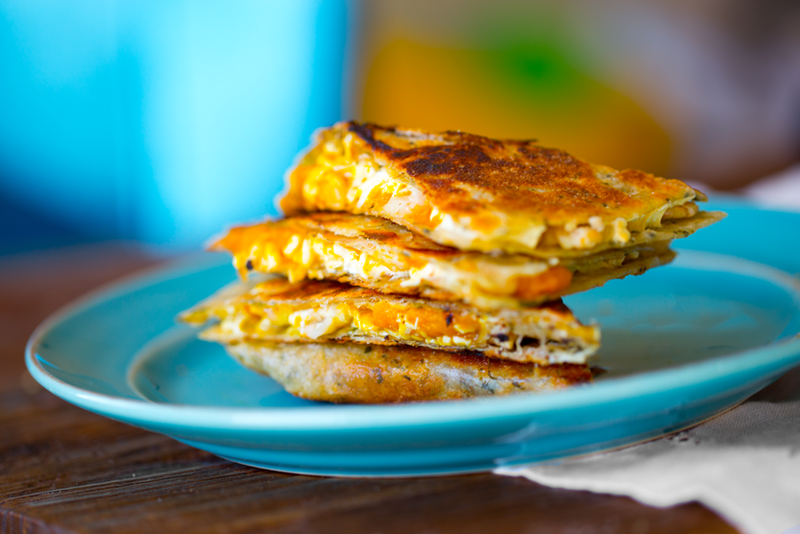 The quesadilla I made the other day with Vince - from the video above. Didn't really style this one as much, and used a Teff tortilla. SO good! 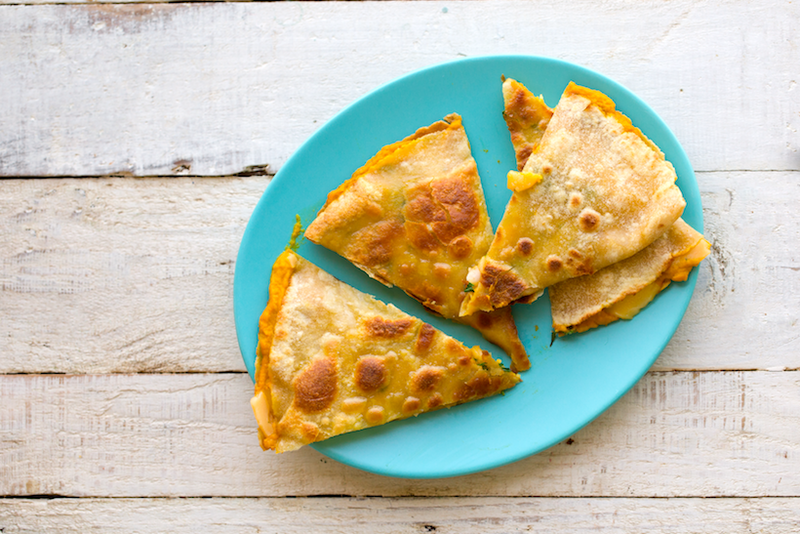 These cheese, savory-sweet pumpkin quesadillas are what fall and winter recipe dreams are made of. 1 medium to large wrap or tortilla, any variety (If using small tortillas, use two. Add all the pumpkin butter ingredients to a blender. Blend from low to high until smooth and warmed a bit. Scoop into a side bowl. Warm a skillet over high heat. Add olive oil to the skillet and swirl pan so oil evenly distributes. Slather one half od the inside of the tortilla in pumpkin butter. Using a fork, smash the beans into the pumpkin. If using hummus, slather it on the other half of the inside of the tortilla. Sprinkle in the parsley and cheese. If using a slice of cheese, tear into small pieces. until edges brown, but the tortilla is still soft enough to fold. Fold the tortilla over to close the quesadilla. Cover the pan with a lid for 1-2 minutes to help melt the cheese. The tortilla should be browned and bubbly by now, and the insides warm and soft. Remove quesadila from pan. Slice into triangles and serve warm.